Searching for a well-made and affordably-priced Churchill in a dark, rich-tasting maduro wrapper? 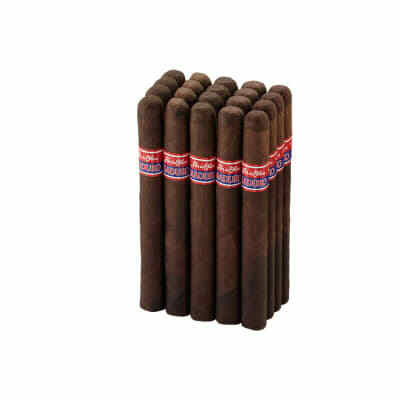 Try a box of La Gloria Cubana Churchill maduro cigars. 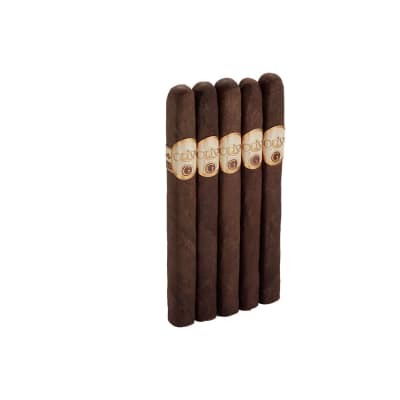 The smoke is medium-bodied, well-balanced, aromatic, and loaded with flavors of earth, cedar wood & sweet tobacco for a savory, satisfying smoke. 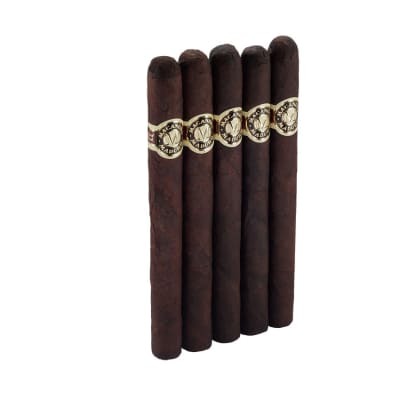 La Gloria Cubana Churchill Maduro cigars are expertly handmade under the direction of Cuban master blender, Ernesto Perez Carrillo, with rich-tasting Dominican and Nicaraguan tobaccos encased in a dark, toothy Maduro wrapper. For a smooth, savory, and aromatic smoking experience, try five now! This is a beautifully constructed, delicious cigar. I would have given it straight 10's except that the burn was just short of perfect. This beauty has a very dark oily wrapper that gives it a nice eye appeal. I enjoyed this with my morning coffee & they paired together excellently. Starts with a smooth thick smoke, then starts picking up an earthy nutty flavor.Next it picks up spice with a hint of chocolate.Finish is a little peppery & the chocolate flavors dominate the finish. Construction is top notch. All in all a great ride. I love these cigars! I've smoked several boxes of LGC maduros (churchill and similar) and I love them better every time. I actually LOOK FORWARD to lighting one. I smoke cigars all time, and most I chop off the end and light up without thinking much about it. La Gloria Cubanas I actually anticipate smoking just like I anticipate eating the lasagna my wife has in the oven. They're great! The thing has a soft leathery feel, the end cuts off clean, the burn is flawless, the draw is wonderful and consistent and the flavor is terrific. On top of all this, they are less than $100 per box! God was having a good day when he made these cigars! The standard of which to measure all others! I've smoked cigars for many years when I discovered La Gloria Cubana. Actually the label caught my eye.I began with naturals but quickly discovered the chocolaty essence, perfect burn %26 billows of smoke that tasted of black coffee! I could light one with one!